Technology giant Microsoft has unveiled its new line-up of Surface products at an event in New York. 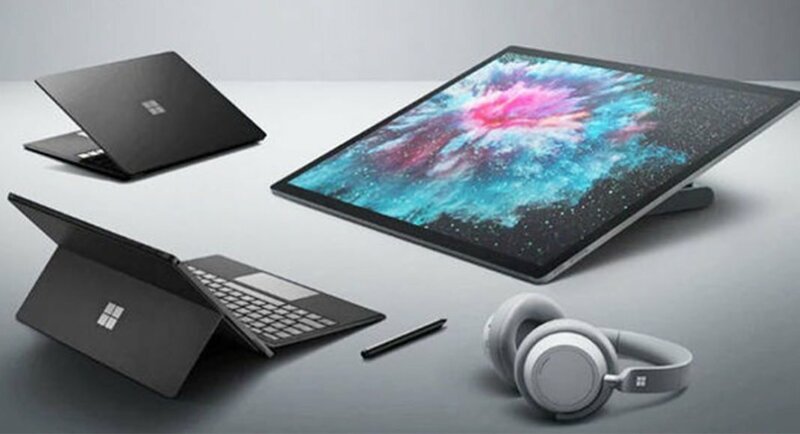 The new range of products from the technology company includes updates to the current laptop line and Surface Headphones. Microsoft has also launched the laptops in a new colour this time. Microsoft has announced its Surface Pro 6 laptop/tablet hybrid at the event. The updated laptop comes in a new matte black colour and Intel 8th generation processor. The company claims that its battery can last for 13.5 hours. Other than this, Microsoft also showcased the second generation Surface laptop that sports a 13.5-inch display and comes with an Alcantara fabric keyboard cover. It is powered by eighth generation quad-core processor and is claimed to have a battery life of 14.5 hours. While the Surface Pro 6 is priced at $899, the Surface Laptop 2 costs $999. The pre-orders of the laptops have started already and they will start shipping on October 16. The newly launched Surface Headphones by Microsoft come with built-in digital assistant — Cortana. The over the ear wireless Bluetooth headphones have the volume and noise-cancellation buttons built into the ear cups. The headphones also have an automatic pause and play feature that stops the audio when the user takes them off. The Surface Headphones can be charged by a USB Type C cable and are said to have a battery life of up to 15 hours. Priced at $349, the headphones have gone on pre-orders. However, their date of shipping has not been confirmed by the company. Microsoft also unveiled Surface Studio 2, which is its creative focused device. It features a 28-inch display and has a 50% improved graphic performance. It has an inbuilt Xbox Wireless and is compatible with Surface Dial. Surface Studio 2 bears a price tag of $3,499 and its pre-orders have begun. It will be shipped on October 16. With App Mirroring, users can cast their Android screens on their Windows 10 device. The user will have to go to Your Phone app, then select an app from their smartphone that they wish to use on their Windows 10 device. The feature will be available for both Android and iOS. The Surface line-up is set to get an All Access program. This will let customers club a Surface device with accessories and Office 365 for $24.99 per month for two years. This should surely make it easier for Windows users to get the device and programs of their choice as they can pay for it in installments.